Sleep problems are common in children and adolescents with up to 50% of children experience some sleep difficulties and up to 4% have a formal sleep disorder diagnosis1,2. 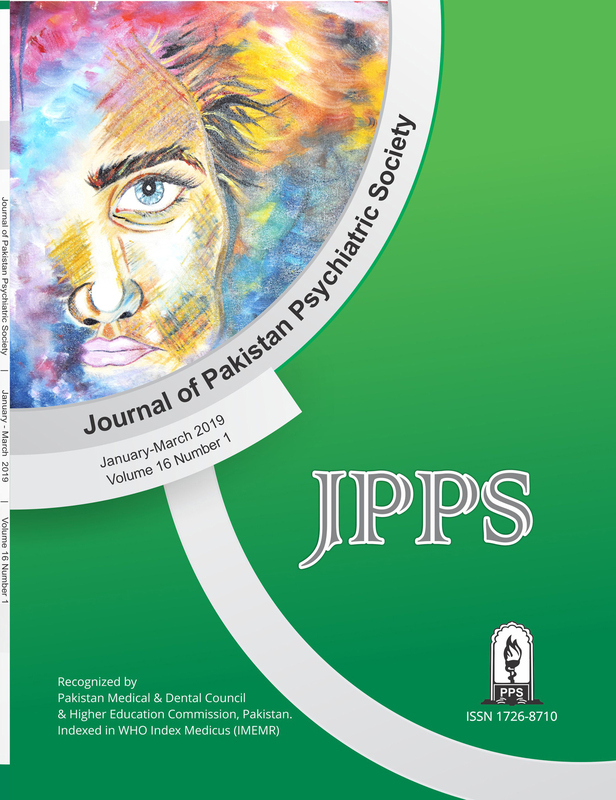 In Pakistan there is a shortage of child psychiatrists and pediatric physicians, therefore it is important for the physicians in primary care and general psychiatry to be familiar with common sleep disorders. This article provides an overview of common sleep disorders in children and adolescents[WXSU2] . Moreover, many children do not get adequate amount of sleep, which now is known to cause behavioral and emotional problems3. Sleep is an active recurring event in which the body has the opportunity to restore normal processes necessary for physical health and mental development. There is evidence sleep is an active process during which the brain actively modulates neuronal connections and goes through a “cleaning process” with removal of toxins4. The normal architecture of sleep changes in the first year of life. These changes are mostly consistent with developmental changes in children. One of the most significant changes is the reduction in total sleep time. A neonate will require approximately 16 hours in a day with a fragmented schedule and frequent daytime sleep. Around 6 months of age most children are able to sleep throughout the night without awakenings. At 2 years of age daytime naps are not required. Sleep requirement continues to decrease over time reaching adult sleep architecture and duration at around 16 years of age. When sleep difficulties are noted, one of the most common complaints that arise is daytime sleepiness and in children sleep deficiency can manifest with irritability, cognitive and behavioral disturbances, which is different than adults and can often lead to misdiagnosis of learning disabilities or ADHD5. Whether a person is awake or asleep at any given time depends on the net balance between the circadian drive, which facilitates wakefulness, and the homeostatic drive, which facilitates sleep. The suprachiasmatic nucleus of the hypothalamus is the circadian timekeeper (biological clock); it receives photic input from the retina and regulates the timing and length of sleep, this is mainly mediated by the secretion of melatonin by the pineal gland which usually coincides with the presence of dim light in the evening. The surge of melatonin defines the individual circadian rhythm and often is delayed in teenagers and makes them incapable of sleeping early6. Similarly the hypocretin (orexin) neurons located in the dorsolateral hypothalamus, and their projections to the ventral forebrain and brainstem, serve as the major wakefulness promoting system. The destruction of this neurons leads to inability to maintain wakefulness as seeing in patients with narcolepsy7. The master circadian clock is located in suprachiasmatic nucleus and controls the timings of sleep. The normal circadian day of humans is more than 24 hours and therefore needs continuous “resetting” by time cues like melatonin, food, light and body temperature. For example light exposure, even from television and computers can suppress melatonin secretion and delay sleep time. Delayed sleep phase syndrome (DSPS) is often called a “night owl syndrome” in lay terms. This disorder usually starts during adolescence and is associated with a familial predisposition. It presents with inability to initiate sleep until 2-3 hours after going to bed and a preference to wake up late in the morning. Patients with this disorder don’t have difficulty sleeping a normal total sleep time if allowed to extend their sleep in the morning. Difficulties are often present during school times as their schedule limit their available time for sleep. Sleep Disordered Breathing Sleep disordered breathing refers to a continuum of breathing difficulties during sleep that range from primary snoring, upper airway resistance syndrome, obstructive hypoventilation and frank obstructive sleep apnea. The pathophysiology of obstructive sleep apnea is characterized by upper airway obstruction with normal respiratory effort, leading to intermittent hypoxemia and arousals from sleep8. The prevalence of this disorder is calculated to be between 2-4% in children with increased prevalence in children with prematurity, obesity, adenotonsillar hypertrophy, craniofacial malformations, Down syndrome and neuromuscular disorders9,10. Clinically, these children are noted to have snoring, witnessed apneas, gasping arousals, mouth breathing, enuresis, behavioral problems and neurocognitive impairment. Unfortunately history alone cannot distinguish obstructive sleep apnea from primary snoring, which underscores the need for testing in a sleep laboratory. Sleep questionnaires are only marginally better than history taking. Sampling nocturnal oxygen saturation from an oximeter clipped to a finger is a reasonable diagnostic screen. The presence in each hour of sleep of two or more desaturation events of 3% or more and an oxygen saturation nadir below 90% suggest obstructive sleep apnea. The severity of sleep apnea is measured by apnea hypopnea index (AHI), which represents number of apneas (breathing cessation with a duration equal to 2 breaths or more) and hypopneas (decrease in airflow of 50% or more accompanied by oxyhemoglobin desaturation of 3% or more) in 1 hour11. Treatment for mild sleep apnea (AHI between 1-4 events per hour), can be done with nasal steroids and or montelukast, which have been found to be helpful decreasing symptoms and AHI, however in children with moderate OSA (AHI between 5-9 events per hour) or severe OSA (AHI>10), the first line therapy is adenotonsillectomy, with a successful resolution of OSA in 75% of children, the remaining with persistent OSA may require further therapy with positive airway pressure or orthodontic procedures like rapid mandibular expansion. Children with obesity, severe obstructive sleep apnea (AHI>10 events per hour), Down syndrome, craniofacial anomalies and neuromuscular disorders are at higher risks to have persistent sleep apnea after adenotonsillectomy. Central hypoventilation syndromes refer to a defective automatic control of breathing during sleep, which is usually a result of brainstem dysfunction. This syndrome present in infancy or childhood. Head injury, bulbar poliomyelitis, syringobulbia, Chiari types I and II malformation and inborn errors of metabolism (e.g., Leigh syndrome) are some underlying conditions. Polysomnography (PSG) may reveal central sleep apnea, oxygen desaturation, shallow respiratory effort, and increased levels of end tidal CO2. Except for surgical decompression in Chiari malformation and syringobulbia-associated hypoventilation, the management is similar to that of primary congenital central alveolar hypoventilation12. Congenital central hypoventilation syndrome is a genetic disorder associated with the presence of the mutation PHOX2B, without obvious brainstem defects. The gene is transmitted in an autosomal dominant fashion and when identified requires testing in parents and siblings13. It usually presents during childhood and is noted by a failure to develop increase in ventilatory drive in response to hypercarbia. Symptoms are more pronounced during sleep. Difficulties initiating or maintaining sleep have a high prevalence during childhood, with up to 50% report difficulties at some point during their childhood years. Insomnia in children could present in different ways. Behavioral insomnia of childhood can be sleep onset association type and limit setting type. In insomnia with sleep onset association type, the child is unable or unwilling to fall asleep or return to sleep in the absence of specific conditions, such as a parent rocking the child to sleep. Also important to note insomnia is associated with comorbid conditions including oncologic disorder on chemotherapy, chronic pain, poorly controlled asthma and neurodevelopmental and psychiatric disorder. The presence of insomnia has been linked to poor recovery and immune function as well as worse neurodevelopmental and psychiatric symptoms. The primary intervention in this situation is to use sleep hygiene techniques. There is limited literature about treatment for insomnia in children and some of the medications often used include melatonin, trazodone and alpha agonist in children. It is a relatively common disorder reported in as much as 3.6% of the pediatric population, with frequent symptoms at least in 2%15. The condition is characterized by an unpleasant sensation in the legs, with the urge to move the legs. These feelings are usually worse in the evenings and at night. They are also worse at rest and movement provides temporary relief. Often these sensations are diagnosed as “growing pains”, which perpetuates the problem. In a questionnaire with input from children and adolescents with restless leg syndrome (RLS), their parents, and clinical experts, identified four symptom/impact domains: perception of RLS sensations, the need to move or rub the legs due to RLS, obtaining relief from moving/rubbing, and the negative impact of RLS on sleep, wakefulness activities, emotions, and fatigue. RLS in children is highly correlated with a family history as well as with low iron stores as demonstrated by ferritin levels below 75 mg/dl. Therefore, it is recommended to check ferritin levels and ask for family history of RLS. Additionally, symptoms may be worsened by inadequate physical activity or the use of caffeine, antihistamines, selective serotonergic medications, tricyclic antidepressants and antipsychotic medications16. Diagnosing RLS can be challenging in children as they may not be able to describe the symptoms. Restless legs syndrome can impair significantly with sleep onset and cause daytime impairment. Early diagnosis is important for timely relief of symptoms. Treatment is based on replenishing iron stores if decreased and use of gabapentin is an acceptable second line of treatment. Parasomnias are defined as undesirable events that accompany sleep and typically occur during sleep-wake transitions. They are additionally characterized by complex, awake-like activity by the child that appears purposeful but lacks meaningful interaction with his or her environment15. Parasomnias are divided into Non Rapid Eye Movement (NREM) parasomnia and Rapid Eye Movement (REM) parasomnia, based on from the type of sleep these behaviors emerge. Non REM parasomnias include sleep disorders such as sleepwalking (somnambulism), sleep talking (somniloquy), confusional arousals, and sleep terrors. REM parasomnias include disorders such as nightmare disorder and REM behavior disorder. .NREM parasomnias are characterized by confusion, automatic behaviors, amnesia, and rapid return to full sleep after the event. Most NREM parasomnias occur in the first half of the sleep and the child does not remember what he or she did. Most of NREM parasomnia such as sleepwalking or night terrors resolves by themselves with age. Parents need to be reassured and behavioral approaches such as keeping the house doors locked is encouraged, so a child does not leave the house during an episode of sleepwalking. There are several case reports of medications triggering sleepwalking episodes in children and adults17-19. REM parasomnias occur mostly during the second portion of the night, but can occur any part of the night. Nightmares usually present in the second half of the night and are associated with emotional content and recollection. REM Behavior disorder is characterized by dream enactment and can lead to injury during sleep. It is common in elderly males and is uncommon in children. However there are reports of REM behavior disorder in children on serotonergic medications20. Sleep problems are common in children and are often missed by primary care physicians and general psychiatrists. Poor sleep can lead to physical, emotional, educational and neurodevelopmental problems. Knowledge of sleep changes and sleep disorders of childhood is important for early detection and timely treatment of these problems. 1. Carter KA, Hathaway NE, Lettieri CF. Common sleep disorders in children. Am Fam Physician 2014; 89(5): 368-377. 2. Meltzer LJ, Johnson C, Crosette J, Ramos M, Mindell JA. Prevalence of diagnosed sleep disorders in pediatric primary care practices. Pediatrics 2010; 125(6): 1410-1418. 3. Aronen ET, Paavonen EJ, Fjällberg M, Soininen M, Törrönen J. Sleep and psychiatric symptoms in school-age children. J Am Acad Child Adolesc Psychiatry 2000; 39(4): 502-508. 4. Xie L, Kang H, Xu Q, et al. Sleep drives metabolite clearance from the adult brain. Science 2013; 342(6156): 373-377. 5. Golan N, Shahar E, Ravid S, Pillar G. Sleep disorders and daytime sleepiness in children with attention-deficit/hyperactive disorder. Sleep 2004; 27(2): 261-266. 6. Nesbitt AD, Dijk DJ. Out of synch with society: an update on delayed sleep phase disorder. Curr Opin Pulm Med 2014; 20(6): 581-587. 7. Burgess CR, Scammell TE. Narcolepsy: neural mechanisms of sleepiness and cataplexy. J Neurosci 2012; 32(36): 12305-12311. 8. Ejaz SM, Khawaja IS, Bhatia S, Hurwitz TD. Obstructive sleep apnea and depression: a review. Innov Clin Neurosci 2011; 8(8): 17-25. 9. Austeng ME, Øverland B, Kværner KJ, et al. Obstructive sleep apnea in younger school children with Down syndrome. Int J Pediatr Otorhinolaryngol 2014; 78(7): 1026-1029. 10. Alonso-Álvarez ML, Cordero-Guevara JA, Terán-Santos J, et al. Obstructive sleep apnea in obese community-dwelling children: the NANOS study. Sleep 2014; 37(5): 943-949. 11. Paiva T, Attarian H. Obstructive sleep apnea and other sleep-related syndromes. Handb Clin Neurol 2014; 119: 251-271. 12. Urquhart D. Investigation and management of childhood sleep apnoea. Hippokratia 2013; 17(3): 196-202. 13. Healy F, Marcus CL. Congenital central hypoventilation syndrome in children. Paediatr Respir Rev 2011; 12(4): 253-263. 14. Owens JA, Mindell JA. Pediatric insomnia. Pediatr Clin North Am 2011; 58(3): 555-569. 15. American Academy of Sleep Medicine. International Classification of Sleep Disorders: Diagnostic and Coding Manual. (AASM ICSD-3). 3rd edition. Westchester, IL: American Academy of Sleep Medicine; 2014. 16. Wilt TJ, MacDonald R, Ouellette J, et al. Pharmacologic therapy for primary restless legs syndrome: a systematic review and meta-analysis. JAMA Intern Med 2013; 173(7): 496-505. 17. Khawaja IS, Hurwitz TD, Schenck CH. Violent parasomnia associated with a selective serotonin reuptake inhibitor: a case report. J Clin Psychiatry 2008; 69(12): 1982-1983. 18. Mathew T, Sarma GR, Nadig R, Varghese R. Topiramate-induced somnambulism in a migraineur: a probable idiosyncratic adverse effect. J Clin Sleep Med 2012; 8(2): 197-198. 19. Lam SP, Fong SY, Yu MW, Li SX, Wing YK. Sleepwalking in psychiatric patients: comparison of childhood and adult onset. Aust N Z J Psychiatry 2009; 43(5): 426-430. 20. Winkelman JW, James L. Serotonergic antidepressants are associated with REM sleep without atonia. Sleep 2004; 27(2): 317-321.